Other information Price is FCA term. Istanbul delivery on truck. Paver table has changed with unused. Price included left and right level cencors. 2013 model, 2 piece 5100hours, Width 6.00 meter. 2014 model, 4000hours, width 6.00meter. 2016 model, 2100 hours, extended 10.00 meter. 2018 model, 580 hours extended 7.50 meter. 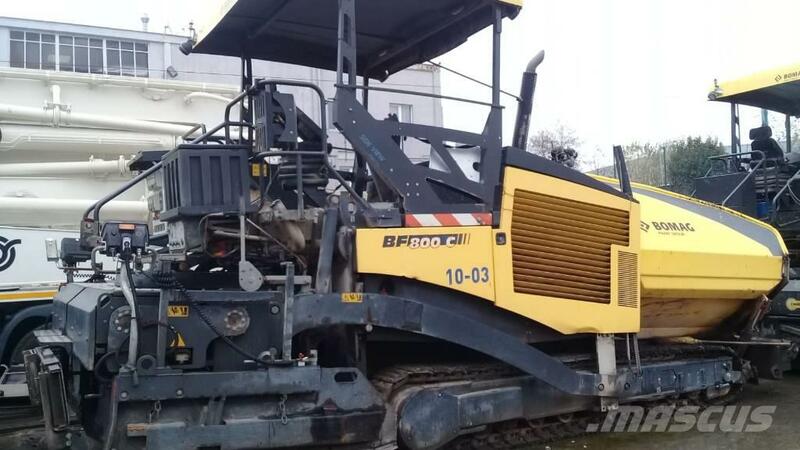 Bomag BF 800 C S600 finishers. Please ask other finishers prices and delivery terms.